This year, the New Talents Award, initiated by the SGM, took place for the first time. 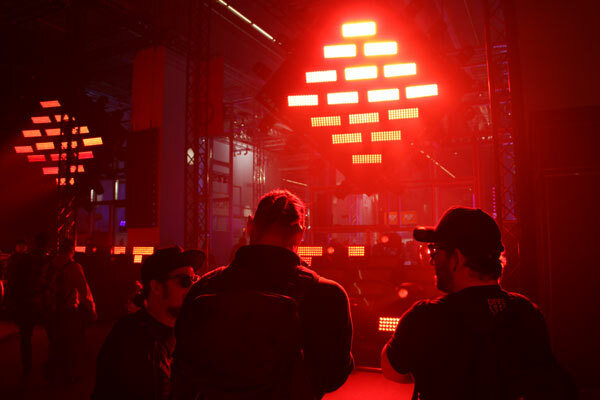 During the grand finale in Cologne, the three finalists presented their lighting designs, which the developed themselves, to a live audience and the jury. The 16-year-old Vikar Porsson from Iceland was able to win out over his rivals Johannes Beck and Daniela Röske, but even they had reason to celebrate. The illustrious jury led by the lighting design legend Jerry Appelt had issued a call to develop innovative and creative lighting designs. In addition to Appelt, the jury consisted of Michael Biewer, Division Manager / Group Show Director at Messe Frankfurt Exhibition GmbH and Director of Prolight + Sound, Michael Herweg, managing partner of SGM Deutschland, and Tom Becker, publisher of DieReferenz.de. In a process of several rounds, the best ideas were presented to the four jurors. The three applicants were then allowed to present their works to a live audience in the finals. The jury and the audience were equally impressed with their creativity. “It was very interesting to see how differently the three finalists approached the task and how different the designs were,” reveals Jerry Appelt. The winner, Vikar Porsson, was able to win in the end with his lighting design and received a MacBook Air as well as a “Symphonie” licence with the powerful visualization software from CAPTURE. The winner was visibly touched when accepting his award. But the other two finalists also had reason to celebrate. Since the two designs had a similar high quality, the jury decided to award second place twice and leave third place empty. Daniela Röske from Hamburg and Johannes Beck from Landshut were each given a hotel voucher worth 750 euros. In addition to the ranking determined by the jury, the finalists also received awards from the audience. The spectators had the opportunity to decide their personal favorites during the live broadcast. First place went to Johannes Beck, Vikar Porsson was second, and Daniela Röske third.